When a Twitter user openly challenged Elon Musk last July and questioned whether he was capable of providing clean water to residents in Flint, Michigan, he responded and pledged his commitment to the cause, which sparked a campaign to help the citizens who have been neglected by local and state governments. Now, he is making good on that promise. Musk has been all over the media lately since he called out the Security and Exchange Commission last week, referring to how they can manipulate the markets with their government influence. Last Thursday, Musk referred to the SEC as the Shortseller Enrichment Commission after he was fined millions. However, another tweet involving Musk went out on the same day, but it didn’t fit the current narrative in the mainstream media to smear the billionaire, so it got almost no coverage. That tweet was from the Flint, Michigan school system thanking him for holding true to his promise to help fix their water. This was later confirmed in a follow up article by mlive.com who noted that Musk will pay for filtration systems at all Flint schools. While Musk isn’t fixing all of Flint’s water — yet — on top of fixing all the schools, he has previously announced plans to help residents as well. 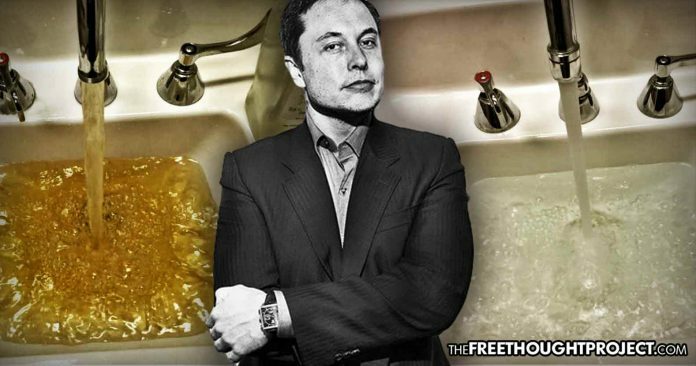 While some critics were skeptical of how Elon Musk will help residents in Flint who were poisoned by their local government and have lived in fear ever since, the fact is that the billionaire is pouring time and money into working with local activists to make a difference, and the spotlight he is shining on Flint could have long-term effects for the impoverished residents who feel like they have been left behind.